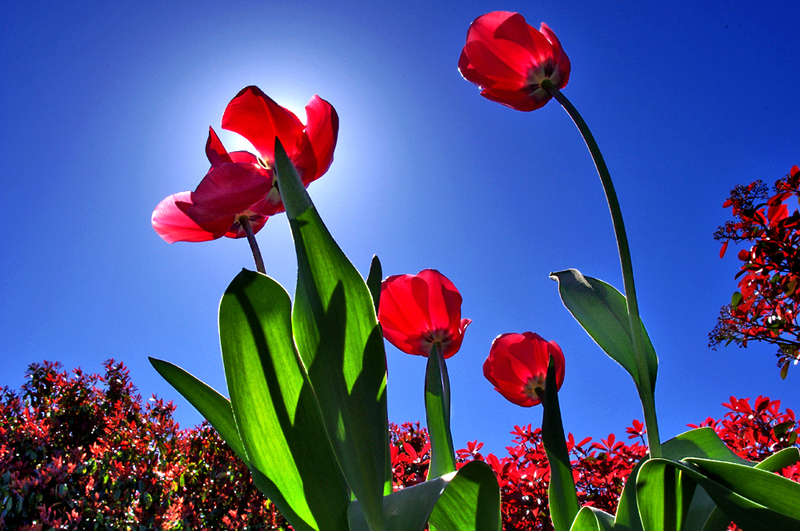 The placement of the sun behind the most open tulip… I just love it! This is so vibrant. I am partial to tulips but this photo is perfection. I love the sun shining above the flower! What a capture! Love the angle of this photo; truly beautiful!